Includes program, room, and board. Come experience body prayer as a way to open and integrate our bodies, minds, and spirits in Christian worship to create a quiet home for the mind to rest in meditation. in the ordinary, daily routine of the present moment. All levels of experience and ability with yoga are welcome. Come find out how opening your body can help to deepen your spirit and connection with God. The sequences can be modified to accommodate anyone. Come find ways to connect your love of yoga with your Christian Spirituality. You will have a chance to slow down to the deepest rhythms of your breath and body. All participants are invited to bring something meaningful to place on the prayer table in the practice room. A personal offering will give more focus to our practice. If you have a sticky mat and a meditation cushion, please bring them with you. 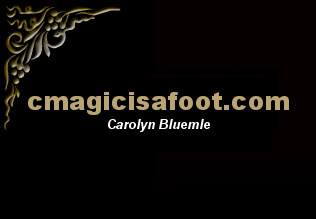 Carolyn Bluemle, teaching yoga since 1989 and Iyengar certified, teaches at Unity Woods Yoga Center and in the Sacred Circles program at the Washington National Cathedral. During her doctoral studies at UC Berkeley, she cultivated and honed her analytical skills. Years as a dancer inspired her love of movement and appreciation of the rhythms and poetry of the body. Through the healing practices of yoga, meditation, and Taize chant, she has returned to her Christian roots with joy and compassion. Her teaching, precise and enthusiastic, reflects her deep experience of yoga as prayer. Holy Cross Monastery, nestled on twenty-six magnificent acres on the banks of the Hudson River, is home to an open-hearted Episcopal Benedictine community. A beautiful place to enter a time of prayer, reflection, renewal, and recreation.